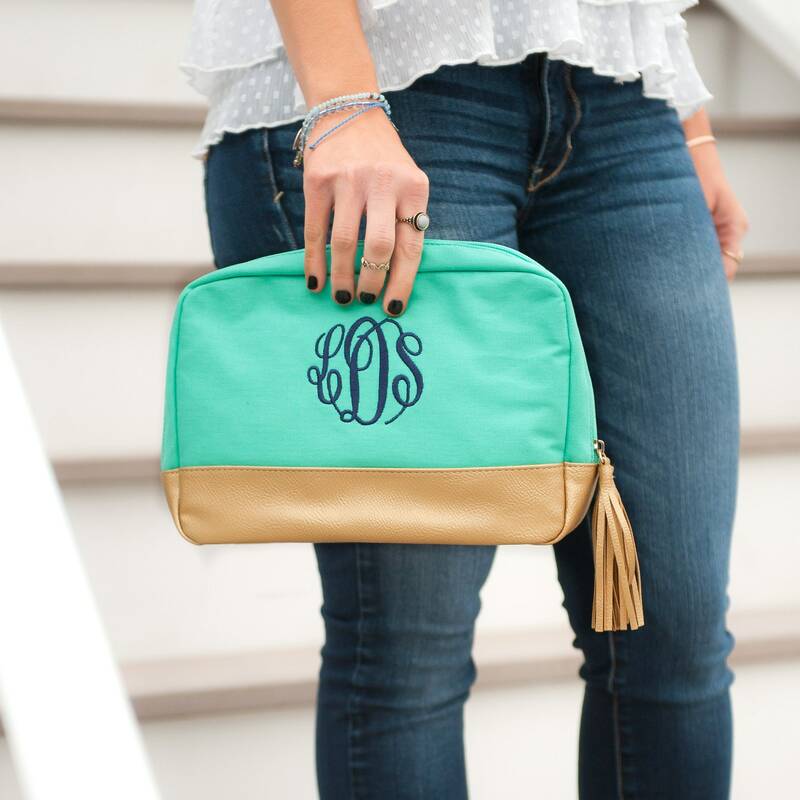 A cosmetic bag with class, this zippered bag comes in durable canvas for reliable on-the-go toting. 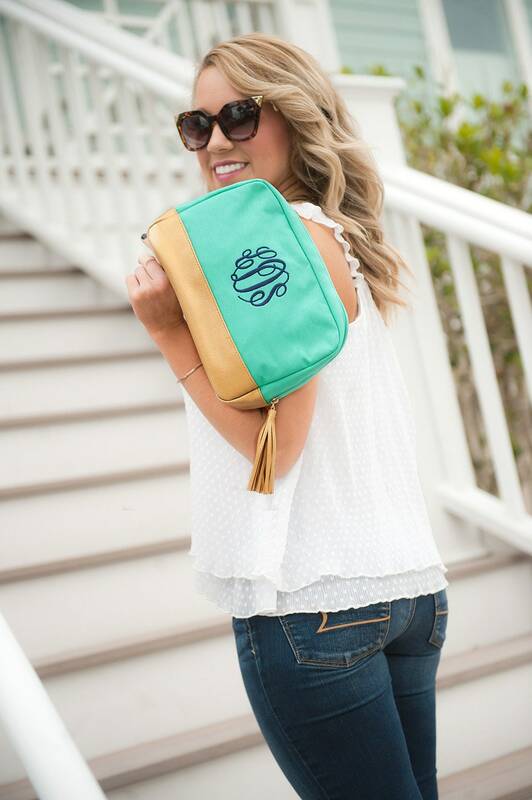 The metallic gold, vegan leather bottom and tassel add a fun touch to this fabulous essential. 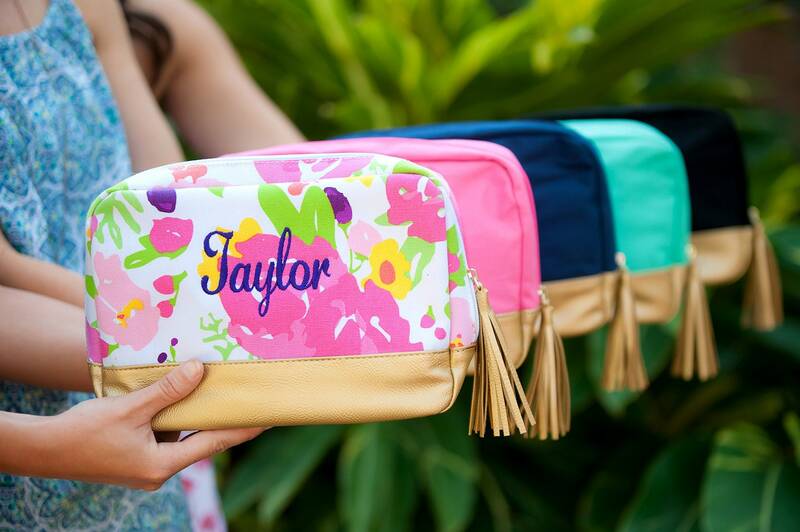 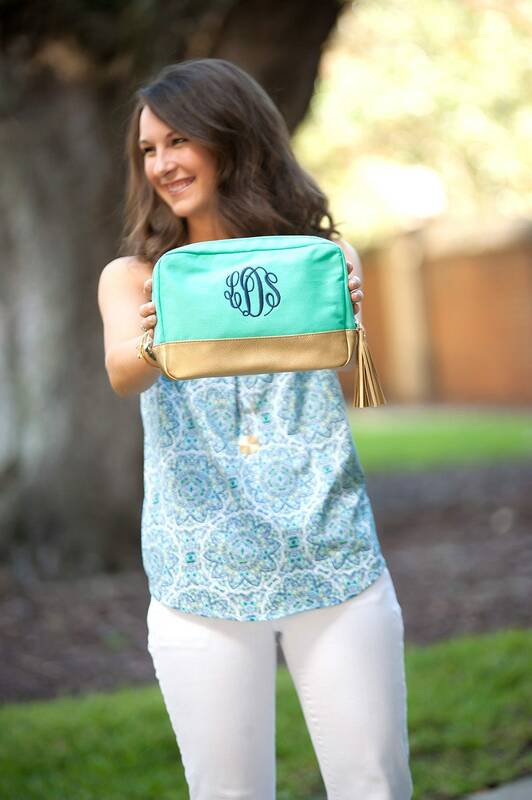 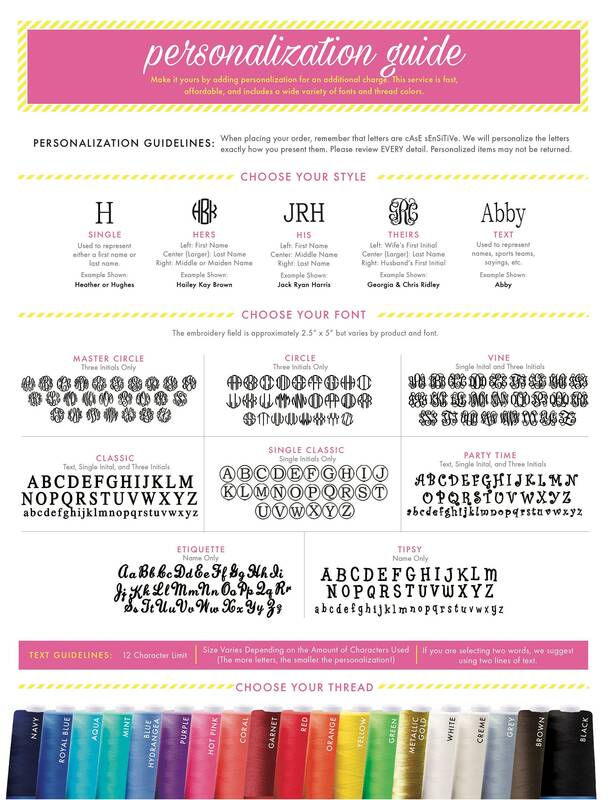 The included embroidery personalization makes this cosmetic bag even more special!